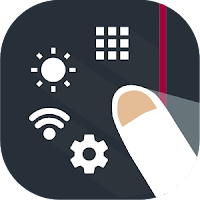 Swiftly Switch Pro is an edge app that improves your Android experience by allowing to use your phone with one hand and faster multitasking. Swiftly Switch runs in the background and can be easily accessed from any screen with just one swipe from edge screen. It's fast, battery friendly, highly customizable and no ads. Swiftly switch Currently supported shortcuts: apps, contacts, toggle wifi, on/off Bluetooth, toggle auto rotation, flashlight, screen lock, screen brightness, volume, ringer mode, power menu, home, back, recent, pull down notification, last app, dial, call logs and device's shortcuts. Recent apps switcher: Arrange your recent apps in a floating circle sidebar. Switch between them by one swipe from trigger screen edge zone. Quick Actions: swipe in deeper with a right direction to pull down notification, switch to the last app, back or open Grid Favorites section. 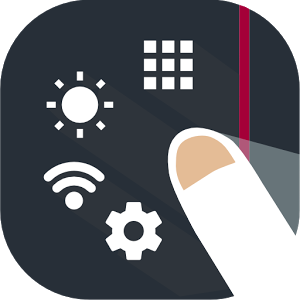 Grid Favorites: a side panel where you can place your favorite apps, shortcuts, quick settings, contacts to access from any screen. Fast multitasking: switch to recent apps or last used app with just one swipe. There is no faster way to do it. 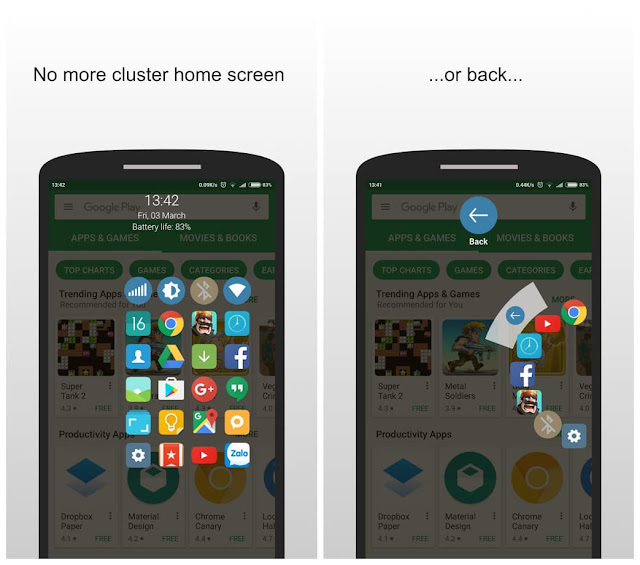 No cluster home screen: because now you can access your favorite apps and shortcuts from anywhere. Focus on user experience: ads free, the app is fast, easy to use, beautiful and extremely customizable.